I’m sorry that my uploading is not realy consequent, but i’m having a few problems with my thesis for my Master year at school and I want to get that figured out because the 21st of May I have to file it. So I tought I would give you a mini haul. 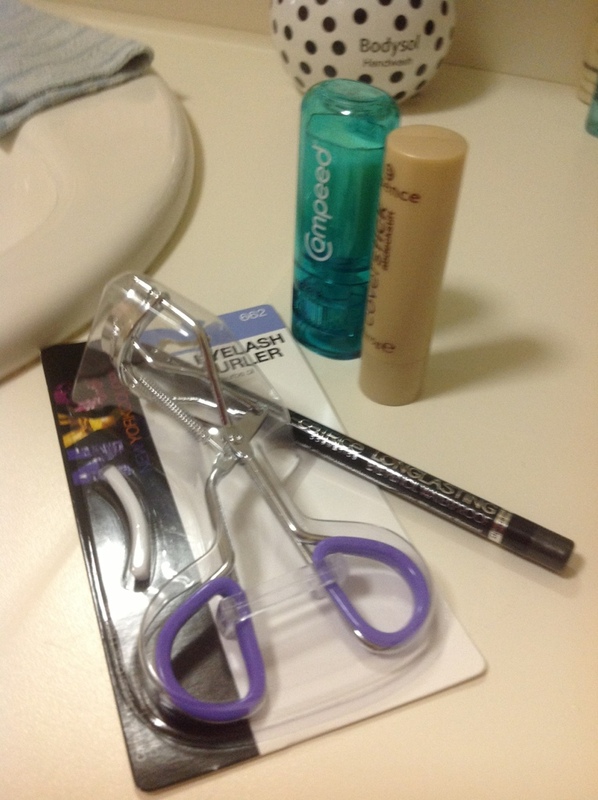 I needed to pick something up at the local drugstore, and I got a few other products as well. I originaly went to pick up the Compeed anti-blister stick. It’s a stick that prevents blisters. Every year when the weather gets better I want to put on my more ‘summer-ish’ shoes, and almost every time I have some blisters. Mostly I use the Compeed plasters. But I want to prevent from getting blisters so I use the stick. It prevents friction which causes the blisters. It’s a bit like a lip balm, you just put it on your foot, and it’s like it places a film on your foot and your ready to go. You can apply it multiple times a day for better use. I also got 3 other things, namely a cover stick from Essence, a long lasting eyepencil waterproof from catrice and an eyelash curler from NYC. I haven’t used the previous named products, exept for the Compeed anti-blister stick. So I keep you guys updated about the use of the products. This entry was posted in Uncategorized by missnathaliexo. Bookmark the permalink.